When we’re talking about the airlines in Singapore, two things come to mind; Singapore Airlines and Scoot (of previously known as TigerAir). Why the two? Well, Scoot is the subsidiary company of Singapore Airlines, which makes it technically what you can call a breed of Singapore Airlines. 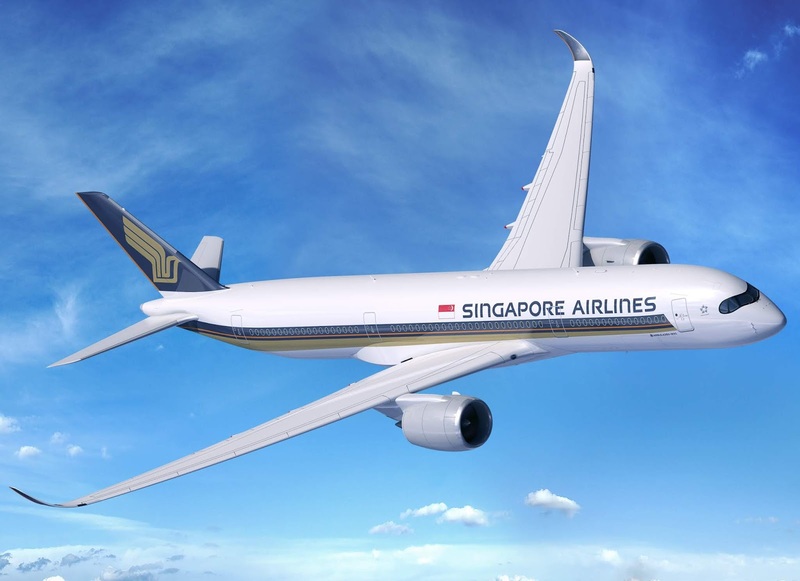 Although both round different pool of flyers as Singapore Airlines is the national carrier while Scoot is the low-cost airline, however, the two have it going when it comes to providing the best services for its flyers. 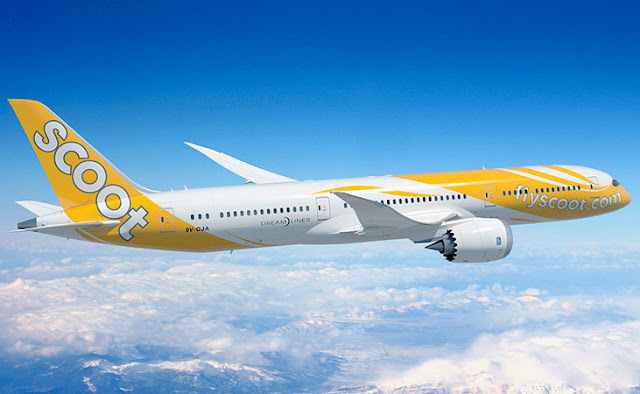 You can find cheap Singapore Airlines flight tickets easily with various online air ticket booking platform out there like Traveloka, but Scoot does not fall short of providing the best deals as well. So, let’s put these two to battle it out, which is the king of services, shall we? Everything starts with the website. It may not seem like it, but any good airline carrier website presents three important things on their website, interactivity, convenience and transparency. Both Singapore Airlines and Scoot got the first thing covered well. 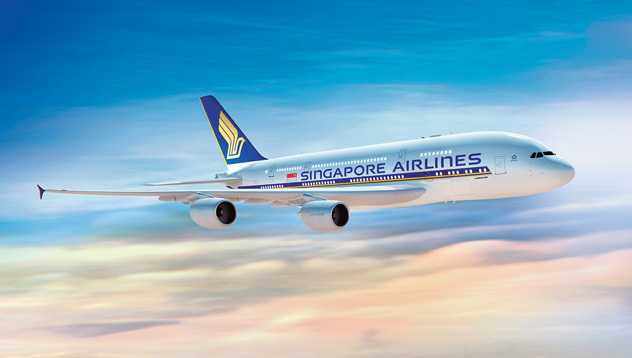 When you go over to Singapore Airlines, you really have that sophisticated nature to its interface that is consistent with its image as the primary carrier in Singapore. Scoot looked much lively and laid back with the bright yellow colour that makes it more relaxed and not too corporate-ish. Both are quite easy to navigate as well, which brings to the second element - conveniency. Everything is laid out on the homepage with clear indicators of where to find what. Although Singapore Airlines have drop-down menus for each of its features, which is a plus one while Scoot provides a drop-down menu for only certain features on the site. In terms of transparency, both are on par concerning the extent of the information they provided. They are pretty clear cut and in detail in both visually and language use. I’m giving my points to Singapore Airlines for this one as it provides extra convenience in terms of web navigation compared to Scoot. For Round 2, we’ll be looking at the cool stuff both airlines provide; Lounges and Club/Flyer perks. Let’s talk about the lounges, shall we? Who doesn’t like VIP access to special airline lounges? 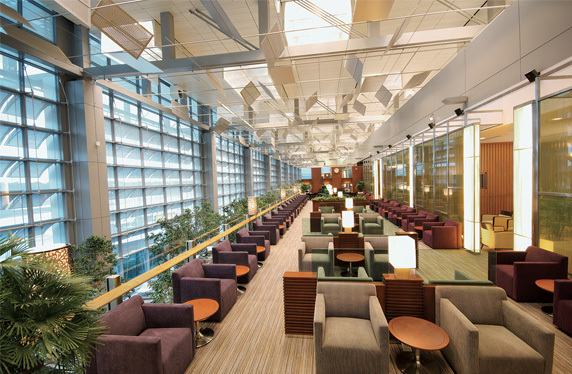 If you’re going on long-haul flights, then, you would definitely appreciate the greatness of airport lounges. Singapore Airline has four different types of lounges, First Class Check Reception, SilverKris Lounge, KrisFlyer Lounge, and Airline partner lounges. Focusing on SilverKris Lounge, you will be greeted with world-class comfort including facilities like bartender service, nursing room, wheelchair accessible restrooms, meeting rooms and a wide selection of food plus snacks. Scoot’s Scoot-in-Style provide the comfort for business and leisure. Although it’s operating hours is 24 hours, but the access duration is strictly 3 or 6 hours max, so, you gotta get Scooting. Facilities provided in shower rooms, workstations, massage chairs, and unlimited Wi-Fi connection. I’m going with Scoot on this part, even though they have the limited access duration because of the fact that it is very family-friendly from my point of view. You don’t feel like you’re walking into a meeting room, instead, you feel at ease to stretch out your legs while waiting for your flight. Sometimes a backpacker would appreciate this kind of relaxed environment. So, yeah, I’m going with Scoot for this one. The final battle that determines it all! We are narrowing down on Meal. The meal is the most important, well, the meal of the day when you’re flying. 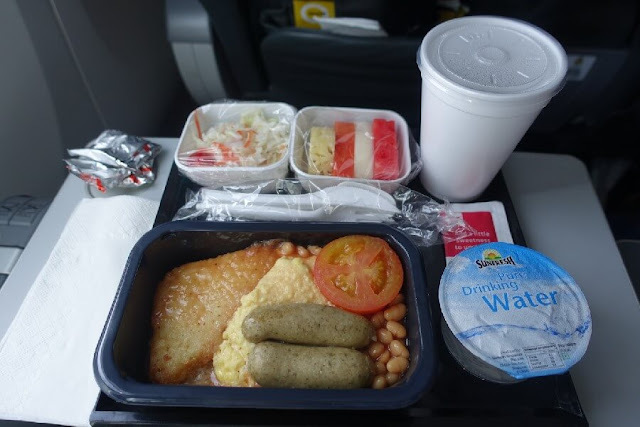 If you’re doing short routes, then, maybe it can be overlooked a bit, but let’s say it’s an 8 to 10 hours flight and the only entertainment you have for your belly is the airline food. Singapore Airlines take great consideration on selective diets, be it drafted by religion, diet or allergies. They pretty much have it all, I reckon. It’s one of the Special Meals they provided for their passengers that you will be able to request whenever you are onboard. They also have the Book The Cook service where you can actually request your own signature dish prepared first hand by their chefs. Of course, this kicks applicable to Suites, First Class and Business Class passengers. Scoot provides a deluxe meal, two deluxe sides, and a drink. They present the best of local’s cuisine such as their famous Singapore Signature Chicken Rice and Signature Nasi Goreng with Chicken Satay. Other popular dishes including their Golden Fried Chicken with Rice and Signature Laksa Goreng with Prawns (might I add, this is a new addition to their meal selection). However, the downside is, meals are subject to availability on the routes too. All food is Halal certified as well to provide for Muslim travellers. For this one, I’m going with Singapore Airlines. Why? Because of the personalized service, the airline provides for its passengers. 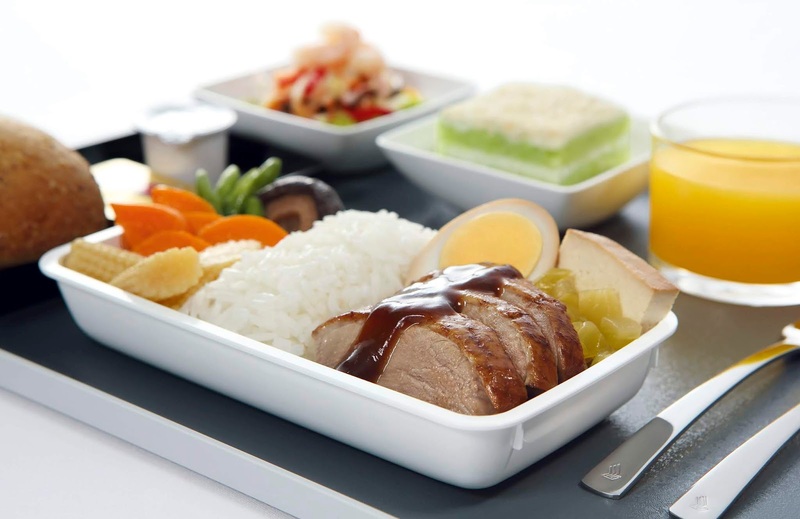 I like my food specially crafted, and if it’s a very long flight I’m going through, I would want my food to be as perfect as it can be. AND WE HAVE OUR WINNER! Although, please be aware that I’m not disregarding one or the other as each have its own preferences and features. This is just a brief experimental analysis I’m presenting on my part. Let me know what you think about both airlines! What are your experiences with them? Good? Bad? Somewhere in between? Let’s share the stories in the comment section below, and I’ll see you in my next stories! Happy Lunar New Year 2019!! !